IT managers with multiple dedicated servers quickly realise that it takes a lot of time and resources to maintain their efficiency – but there is a more efficient approach in moving from to rack and blade server configurations. Both can boost performance and reduce costs, but blade servers offer the most flexibility. Dell has cited statistics in a white paper, that show blade servers can pack more stealth into less space. It says the Dell M1000e can fit up to 16 blades in the space required by 10 rack-optimized 1U servers, a 60% density increase providing enhanced performance that can even further reduce the number of servers required for the given workload. The company points out: "Savvy IT leaders realise that increasing data centre efficiency while reducing power and cooling costs enables them to reclaim money, time, and human resources that can be refocused to support strategic needs. 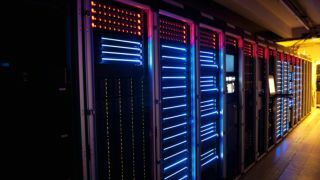 "Companies are choosing blade servers as a key component of their IT strategy when building out new data centres, implementing server refresh, virtualising more of their environment, or simply looking to simplify the management of their server farms." Moving the supporting hardware such as cooling, I/O interface, memory and power supply that servers require to the blade enclosure can further improve their overall performance and flexibility. But it is important to ensure that each enclosure is full, as those that are not fully utilised will often cancel out any savings. This level of flexibility is vitally important in highly virtualised server installations. Blade servers make it easier to manage load balancing and server throttling, and thereby continually react to usage workloads and power needs. Dell makes a case for its PowerEdge servers that use throttling for many purposes, including optimising the amount of work done for the energy consumed. This can optimise component temperatures inside the server during peak workloads, an important feature in achieving high performance. For IT managers tasked with cost reductions, the investment in blade servers will deliver a number of clear advantages. The flexibility that servers such as these offer, coupled with their ability to react to a changing load environment makes them ideal for businesses that are looking to leverage their server installations to deliver improved performance.